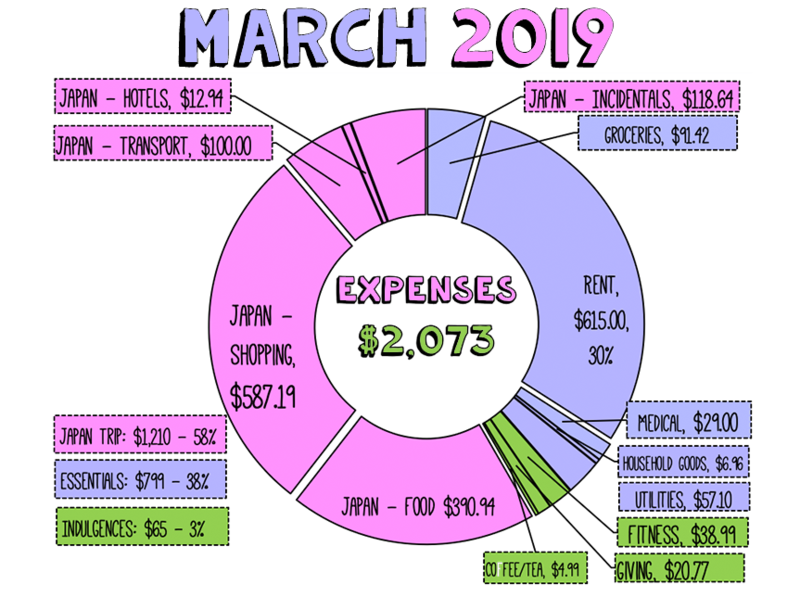 As you will see in the expenses, I spent nearly 3 weeks in Japan this month and even though I bought all the planners, all the skincare, and all didn’t limit myself on food or transit at all, I came in under-budget! I have a lot more content – including vlogs, a tour of my capsule and train hotel, and a haul video, coming. If you want to be notified when those videos come out subscribe please to my youtube channel, I’m desperate! This was my first non-work trip in a long time, so it was fun to not have to focus on work. I did a little bit of work while I was there, and documented and filmed quite a few things, but generally prioritized vacation over anything else. 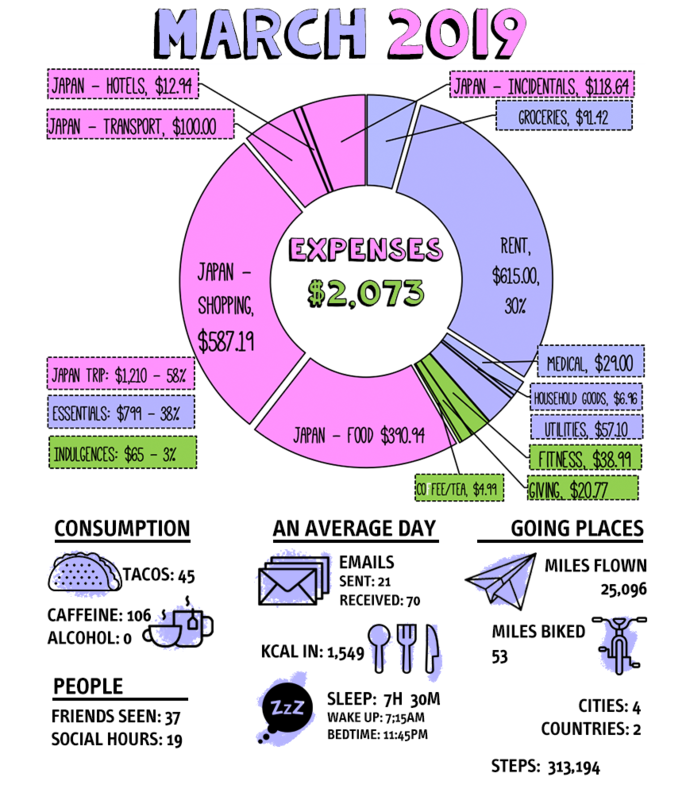 28% of total annual budget at 25% of the way through the year. More information on what I bought and brought home is coming! But here’s the basics. I went wild with shopping, but it was within budget – I got a lot of things I could only get in Japan, and I don’t expect to be back anytime soon. Flight was purchased last year, my shinkansen (high speed train) tickets were covered by Chase Sapphire $300 Annual Travel Credit, and my hotels were paid for with Chase and Hotel.com points.